(Host) With shrinking tax revenue and less federal aid, many cash-strapped cities and towns are looking for money to stimulate economic development wherever they can find it. Amid the cuts, Vermont municipalities are increasingly turning to a complicated financial tool designed to help them build public projects that they can’t currently afford. (Carapezza) The first thing you need to know about Tax Increment Financing – or TIF – is what the increment is. Take Burlington‘s new downtown TIF-district, for example. (Kupferman) "This area is called our core downtown. Our zoning allows for highly-dense development in this area. (Carapezza) Larry Kupferman, director of Burlington’s Community and Economic Development Office, sits in his third-floor City Hall office, propping up a foam poster board that shows a bird’s-eye-view of the city. (Kupferman) "What we’ve done is identified about 240 properties and that’s what this gerrymandered blue line is. These are all properties that not only have development opportunities on them but are part of the tax base." (Carapezza) The city says those 240 properties represent $309 million of assessed value. (Kupferman) "That assessed value drives both state education tax and general fund tax for the city." (Carapezza) It’s the state education tax that’s at the heart of these districts. State law allows cities and towns to keep up to 75 percent of the incremental increase in state education property taxes that would be generated by new development in a TIF district. The money can be used to make improvements to water and sewer systems, or to build sidewalks and other public facilities. Burlington has had serious financial troubles lately and it can’t build those kinds of things that might encourage private development. Kupferman says that’s where TIF comes in. (Kupferman) "When we have a new development, and all of a sudden we don’t have $309 million we have $400 million to finance the public amenities, that’s the increment." (Carapezza) Many Vermont cities and towns have turned to TIFs to attract new investment. On Town Meeting Day, Burlington voters approved a district that would enable $10 million in investments. In Hartford, voters agreed to a $13 million TIF district for White River Junction. That brings the total number of districts in the state to eight. Vermont is so confident Tax Increment Financing works that it’s creating two more TIF districts. Communities competing for them are South Burlington, St. Albans and Barre. (Lauzon) "It would essentially be our designated downtown – our core business district." (Carapezza) Barre Mayor Thom Lauzon hoped to establish a TIF district. But last week, voters decided Barre’s finances were in such dire straits that they voted it down overwhelmingly. Now, Mayor Lauzon hopes to put the issue back on the ballot this fall. (Lauzon) "By then I think the smoke will have cleared. We’ll have plenty of time to explain it to people and we’ll have some proposed development projects, so I think it will be a much different and much better result in November." (Carapezza) Back in Burlington, housing director Brian Pine faces an empty parking lot near the entrance to the city’s downtown district. It’s what he calls a "super block" due to its potential. (Pine) "There’s nothing being generated here. 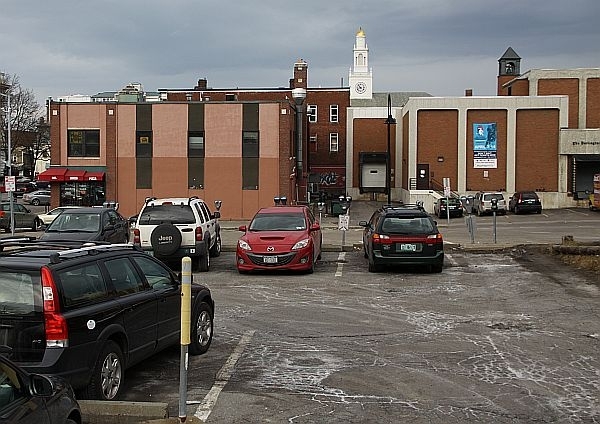 This generates parking revenue but that’s it." (Carapezza) Pine envisions affordable housing for this site. But any development would need expensive storm water improvements, and the city hopes its new TIF will pay for it. Pine says it’s what many towns need. (Pine) "If we want to have downtowns that thrive we’ve got to be innovative about how we create opportunities for development to occur." (Carapezza) Municipal officials admit Tax Increment Financing is complicated, but they say it works – without burdening today’s taxpayers. CORRECTION: An earlier version of this story incorrectly stated the percentage of the increase in state education property taxes generated by new development in a TIF district that cities and towns can keep. State law allows municipalities to keep up to 75 percent of the incremental increase.